This site is dedicated to galvanizing an international effort among universities to price the carbon content of their activities. The ultimate goal is twofold: to design and implement a carbon-pricing mechanism that can be scaled to the regional, national, and international levels; and to create an interdisciplinary group of faculty and students at each university able to address the economic, political, and technological challenges associated with pricing the carbon content of economic activities in their country or region or next institution. Universities are in a unique position to take a leadership role in designing and implementing carbon pricing mechanisms. First, they have the requisite multi-disciplinary expertise to address virtually all of the technical challenges associated with their design. Second, they have motivated students eager to gain experience with solving challenges of this nature. Finally, universities share many features of a small open economy, so that virtually all of the challenges of implementing a carbon pricing mechanism for a university have parallels in a regional, national, or international carbon-pricing system. In contrast to fossil fuel divestment efforts that are mostly symbolic (i.e. that do not directly impact global greenhouse gas emissions and serve only further polarize and politicize the climate policy debate), a carbon pricing mechanism is a productive non-politically contentious way for universities to contribute to the climate policy challenge in a manner consistent with their teaching and research mission. A more detailed discussion of these issues in contained in an opinion piece published in the Los Angeles Times written by Frank A. Wolak, the Director of the Program on Energy and Sustainable Development (PESD) at Stanford University on May 16, 2014. A longer piece on the topic appeared as Stanford Institute for Economic Policy Brief in October 2014. PESD is also working to develop an interactive experience to educate students and faculty about the impacts of carbon pricing. More information can be found on this website under the "About the Site" tab, or by clicking on this link. 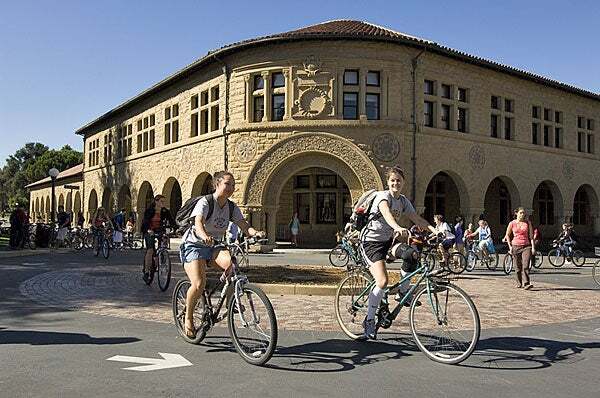 For more information about the Stanford Program on Energy and Sustainable Development (PESD), please visit the "About PESD" portion of this website.